Ethiopian flower farms burned in civil unrest. Field to Vase dinner tour. Dinner on the Pacific Ocean anyone? Prince and Prince examine Consumer Perceptions. World Floral Expo 2017 Las Vegas review. Priceless African water lily theft from London’s Kew Gardens! Fun n Sun 2017 video review. Good News. more people with a love for flowers! HIGHEST NUMBER OF KENYAN FLOWER GROWERS PRESENT AT THIS YEAR’S IFTEX! The CA Grown Experience Visits Continental Floral Greens in Watsonville CA! Sun Valley Floral Farm ~ American Grown Iris. Did you RSVP for the Launch? Ready, Set, Grow: Create an environment where everything thrives. Ethiopian flower sector – bloomer or gloomier? Kitayama Brothers Valentines Day. SF Market Report. ULTIMATUM FAILS planned labor strike at Aalsmeer. Chrysal Donates to Cancer research. CSS INDUSTRIES, INC. ANNOUNCES ACQUISITION OF THE BUSINESS AND ASSETS OF CARSON & GEBEL RIBBON CO.
IFTF 2015 VIJFHUIZEN HOLLAND review. Ryan Black for Floral Marketer of the Year. Sunday Is Flower Day At Detroit’s Eastern Market: Don’t Forget A Wagon! World Class flower wins best of show IFX New Orleans 2014. Holstein Flowers new redesigned website. NethWork is a cluster of 17 renowned Dutch horticultural companies and organizations. Can we make roses that look like marshmallows?, yes the candyman can! Drive through only grocery store. 120 members have signed up so far! Flowersandcents.com is up and running with good news. Temkin PPC open new facility in Colombia! What’ happening in Floral now! MANAGEMENT INSTITUTE ROAD TRIP LOCATIONS CONFIRMED! Rob Spikol: New President at Greenleaf Inc.
UPS Debuts Delivery by Electric Bike in Portland, Ore.
Greenleaf Wholesale Florist Closes 4 stores. J Schwanke at Dillon Floral doing what he does best! 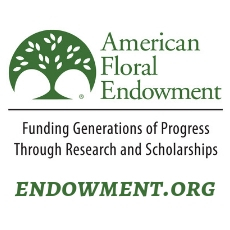 Retail Florist of the Year Contest – Enter by January 29, 2016! Why do so few Rose Parade floats use California-grown flowers? Colombian Peso is at record low. Good for growers? Europa Cup 2016: the official regulations and website are here! Tic Tock goes the Flower Auction Clocks. Continental Flowers New Building Grand opening! Proflora 2015 is heating up. jetBlue getting out of the cargo business. Jet Fresh Flowers & the Gerbera Guys proudly present the first annual Gerbera Daisy Design Contest! Bloomnation is on a roll. Cotopaxi in Quito goes BOOM! Official Press Release from DVFG. ECUADOR’S 15TH EDITION OF AGRIFLOR ENDS WITH BIGGEST SUCCESS IN ITS 23 YEARS HISTORY! Centurion Cargo ends Service from Quito. Is Walmart your next competitor? Amazon Fresh could become the reason. The CA Grown Experience Visits Mayesh Wholesale! Is a .florist Domain Right for Your Flower Shop? International Floriculture Expo New Orleans 2014 review. International Lonely Bouquet Day 2014! Best Dutch flower arranger of 2014: Dini Holtrop! 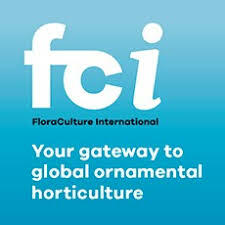 International Floriculture Expo is the must-attend event for the floral industry. Flower shortage for Mothers Day!! Prince and Prince tackle Valentines trends. Spanish is the official language of the flower business. Too many Flowers or not enough? How would you rate Valentines 2015? Prince and Prince declare: Florists Broadly Adopt Social Media . . . Payoff Somewhat Nil . . . Now What? Every Flower Has a Special Meaning: What Does Your Favorite Flower Stand For? SAF Marco Island picture review. Komet Sales in the News. How to speak to millions of people and turn them into your biggest brand advocates. Remembering those who died serving our country. 800 flowers wins this round of who sends the best flowers and for the value? Welcome! YOU NEED TO RE- REGISTER TO LOGIN. Why are Shoe Laces so long? Which do you think they will like better? Tropical Plant Industry Exhibition | TPIE from FNGLA on Vimeo.